Protozoan and helminth parasitic diseases afflict billions of people globally and are collectively one of the greatest burdens on human health and well being. For instance, the World Health Organization estimates ~200 million yearly cases of malaria with over 400,000 fatalities. Toxoplasma infects more than a third of the world’s population and at least 60 million people in the United States. Toxoplasma does not have direct consequences in healthy individuals, but it can be life threatening in immunosuppressed individuals (e.g., transplantation, HIV). In the United States, Cyclospora cayetanensis has been associated foodborne outbreaks of diarrhea every summer. These parasites and others are increasingly a concern due to globalization. 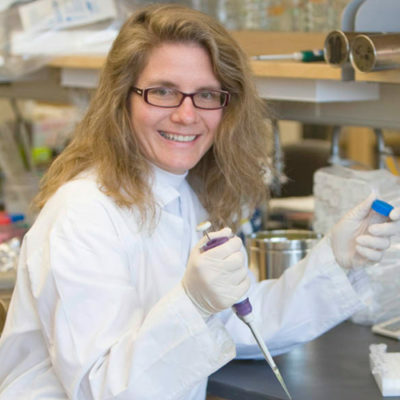 MMI faculty focus on the innate cell biology of protozoan parasites, on the interplay of host and pathogen, and on the immunobiology of host responses. It is our broadly defined mission to contribute to the knowledge base that will ultimately alleviate the burden of these deadly and devastating pathogens.